This is a sponsored post written by me on behalf of The Skinny Gut Diet. All opinions are 100% mine. I’ve been hearing about it for the last couple of years now, I’m sure you have too – healing your gut is the key to improving your health and losing weight. How does one go about actually healing their gut? And is it something a mere mortal can actually accomplish within a busy lifestyle? I hadn’t actually found a resource that not only addressed those questions but provided a clear, easy to follow plan for making it happen. 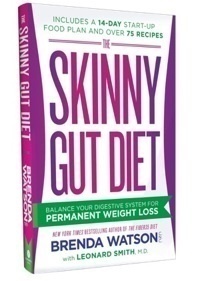 Now, there is Skinny Gut Diet by Brenda Watson. Before you go discounting this as yet another diet book in a sea of diet books designed to help people add to their pile of failed New Years resolutions, I want you to hear me out. Because I’ve read a lot of diet books. I’ve read a lot of nutritional science. And this is the book I have been waiting for. A book that explains the science in a way that the average person can understand and provides an actionable plan to help you achieve a balanced digestive system. The Skinny Diet starts out by explaining all about the bacteria that live in your gut. Sounds weird right? But it’s true! The human digestive tract has somewhere around 100 trillion bacteria living inside it, and the makeup of those bacteria are what determine whether you gain or lose weight. The Skinny Gut Diet illustrates how the bacterial ecosystem in your gut is responsible for your weight due to the balance of good bacteria vs bad. The more bad bacteria you have, the more weight you gain and the harder it is for you to lose it. The key to weight loss is to find the right balance of good vs bad. This is where it gets good. The Skinny Diet goes beyond the science (and did I mention the author writes in a way the average person can understand?) and provides a plan to help you achieve that balance. Ok, ok, I’m getting there. When it comes to weight loss efforts, gut bacteria imbalance means extra calories absorbed, more fat on your body and more cravings – which keeps the cycle going again and again. The Skinny Gut Diet will help you stop that cycle. Eat more fat (healthy fat) to reduce silent inflammation. Eat living foods every day to balance your gut. Eat protein at every meal and snack to eliminate cravings. The Skinny Gut Diet is an easy-to-follow plan that will jump-start your digestive balance to set you on the road to long-term sustained weight loss. And I’m going to show you, because I am going to be following the plan and reporting back to you on my progress. I am in my early 40s and pre-menopause has been making it quite challenging to maintain my weight. I can’t wait to get a handle on my gut health so I can sail right through all of these crazy changes my body is going through and come out lean and feeling fantastic on the other side! Have you made a New Year’s Resolution to lose weight? Join me and share your resolution on your social media channels using the hashtag #SkinnyGutDiet! I haven’t made any resolutions to lose weight, but I made it my goal in December to start going to the gym regularly and eating healthier foods. I mostly eat vegan food anyways, but even with a mostly vegan diet, there are foods that should be eaten in moderation. I will definitely have to check out this book! This sounds like a great idea for permanent weight loss. I have heard about different kind of weight loss programs, which are not so successful and waste of money. Skinny Gut Diet sounds like a great one though. Will have to check this out. My moms whole family swears by this kinda diet! They all look pretty fabulous these days so fixing the gut actually does work!!! This sounds like a pretty common sense way of eating. We do need a balance of food groups and moderation. I have heard things here and there, but nothing in-depth. I think it’s great that someone’s taking the time out to really explain it. Weight loss is mandatory for me this year. I suffer from PCOS which makes weight loss hard. I am going to be 40 this year and just don’t want to be like this anymore. I have degenerative disc disease in my back and osteoarthritis in my hips so I can’t really do high impact workouts. Sometimes just walking is a nightmare. The Skinny Gut diet sounds a lot like the leaky gut diet, well to cure it anyway. I saw this on a reader list, so I might have to check it out. I am always looking to read nutrition information. This book sounds great!I just have to be careful because I have stomach problems to begin with! I’m not looking to lose weight, per say, because I’m still breastfeeding my youngest. But this does sound like a very interesting diet plan. I would never read a book to help me lose weight as I know it wouldn’t do anything for me. However, I do love the 3 steps to follow and I’ve begun eating protein at every meal. I love the 3 simple steps. It really does make sense. I find it hard to gain weight! This sounds amazing, the skinny gut diet is really good for those who want to seriously lose weight! Weight loss seems so easy to do for most although on the hand it’s not. Balancing the right foods and smaller portions is how I loose weight. The book sounds wonderful and I wouldn’t mind picking it up. This sounds like a really good read. I’ve always wanted to know the best ways to maintain my current weight or lose a little bit of weight as well. I bet this book could really help me out. I have so many issues revolving around my gut that it worries me. This book sounds like it was written just for me! I will be following along with interest. 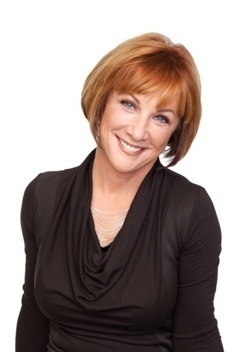 I am 50 and just finished menopause so gaining 10 pounds in the last 2 years that just doesn’t want to leave… well, it is a struggle. Looking forward to your next posts. I am very eager to hear your results. My doc is a firm believer in gut health, and I love the idea of balancing your gut for overall health, but also weight loss. I am in my mid 40s and finding similar issues to you. It sounds like she has got it all together! This could be to straighten out your diet. This sounds like a really interesting read. I can’t wait to check this out. The three tips are so good. I am hopeless without protein at every meal! I will always have a little extra in places, but I am comfortable with my weight!